Khamenei implied that Iran no longer needs to hide behind proxies, instead acting directly against Israel, while also being prepared to assist (including with weaponry) any group that fights Israel. The immediate significance is that Iran – which accuses Israel of assassinating nuclear scientists on its territory – no longer fears to stand as Iranagainst Israeli and Jewish targets and even Western targets. The recent attacks on Israeli targets and interests in the world, most of which were foiled, manifest the change in the Iranian response strategy, currently being implemented by the intelligence and security agencies, primarily the Qods Force. 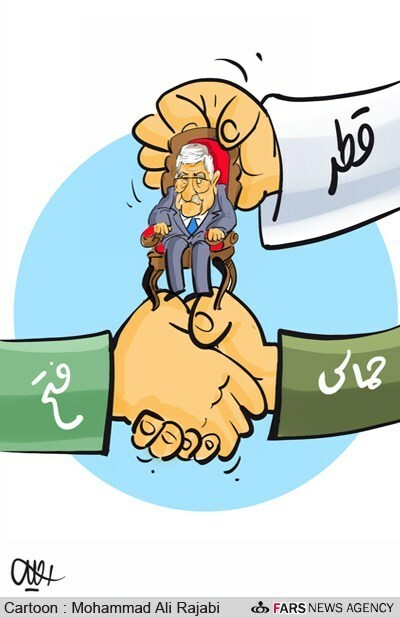 At the same time, Hamas, regarded as one of Iran’s main response tools, is in the thick of an internal controversy about reconciling with Fatah, and Iran sees its ability to influence Hamas’ external leadership (which has now departed from Syria) slipping out of its hands. The strengthening of the Muslim Brotherhood, Hamas’ parent movement, poses another substantial challenge to Iran. On November 12, 2011, only a few days after Khamenei’s rallying cry, the so-called father of Iran’s nuclear program,HassanTehrani Moghaddam, was killed in a mysterious explosion at an IRGC missile base in the Tehran area. Two months later MostafaAhmadi-Roshan, who was a main cog of procurement for Iran’s nuclear program, was assassinated in Tehran on his way to work at the Natanz uranium enrichment site. This prompted calls in Iran’s establishment media, including those close to and identified with Khamenei, for retaliation and revenge in the same currency – calls congruent with Khamenei’s words about answering attacks with attacks. The international “attacks” on Iran did not cease as it was pounded by a string of assassinations, damaging its prestige and particularly that of its security and intelligence services. Iran was further hit by sanctions on its oil industry and export of oil and by removal from the international SWIFT network for bank transfers, and the West is still on the offensive. At the same time, the intense speculation on a possible attack on Iran is goading its leadership to prepare for this threat. President Obama’s speech to the AIPAC conference on March 4, 2012, and his statements shortly afterward that the diplomatic window for resolving the Iranian nuclear crisis is narrowing, added to Iran’s sense that the international system has shifted gears in confronting it. Amid the mounting international pressure on Iran, Khamenei’s November 10 speech – along with his New Year address and other speeches he made during the Ten Days of Dawn events to mark the thirty-third anniversary of the Islamic Revolution – serves as a lodestar and resonates profoundly for Iran’s top security officials and its conservative media. The Supreme Leader’s change of strategy speech is viewed as a turning point in Iran’s strategy for dealing with threats – a transition from defense to offense. Amid the upsurge of threats to attack Iran, the threatening tone of Iranian statements toward Israel (and the United States) has mounted dramatically. Iran speaks of its plans and capabilities to strike Israeli cities and sensitive facilities (such as the Dimona nuclear reactor) as well as Israeli targets anywhere in the world. Likewise, Iranian officials emphasize their ability to strike American interests, including in the United States itself (Iran having been involved in an attempt to assassinate the Saudi ambassador in Washington) and in the Persian Gulf (“all the American bases including the base of the Fifth Fleet in Bahrain are within the range of Iranian missiles”). the enemy is surprised by the course of developments, and Iran has the ability to direct this movement against the enemy. This ability does not exist in Jordan or in Turkey; only Iran is capable of organizing this movement and bringing about the rise of Islamic regimes for the sake of the struggle against imperialism. The enemies are trying to constrain Iran’s arena of action and exact a high price from it. But this International Conference on Youth and Islamic Awakening offers an opportunity for thousands of youngsters active in the Islamic-awakening movements to visit Iran, and their participation will make it possible to neutralize the anti-Iranian sentiments and its enemies’ plans to stir up Iranophobia. In their visit to Iran, the [Islamic] youngsters from other countries can experience from up close the existence of the Islamic regime. Iran has recently hosted some well-attended conferences on the “Islamic awakening.” Participants came from Middle Eastern countries and the Islamic world at large. Iran makes use of such conferences to locate and recruit activists who go on to serve the intelligence agencies and the IRGC in their countries of origin. Some later return to Iran for training and deeper indoctrination. This reservoir of activists, which Iran has been building for years, forms its operational infrastructure in various parts of the world and some of its preparation for the “moment of truth,” when its military and intelligence arms will be called upon to respond to an attack. The Supreme Leader’s speeches, along with the approach of the Iranian revolution’s anniversary and the fourth anniversary of Hizbullah military commander Imad Mughniyeh’s assassination, fostered an atmosphere in Iran of taking the initiative rather than merely reacting to events. In the short period leading up to those remembrance days, the Iranian bodies that are experienced in global terror – the Ministry of Intelligence and National Security (MOIS) and the IRGC’s Qods Force – acted to translate the leader’s words into deeds. Khamenei had also implied that Iran no longer needs to hide behind proxies, instead acting directly against Israel, while also being prepared to assist (including with weaponry) any group that fights Israel – important indications for the executers of attacks. The immediate significance is that Iran – which accuses Israel of assassinating nuclear scientists on its territory – no longer fears to stand as Iranagainst Israeli and Jewish targets and even Western targets. In the past it preferred to leave the dirty work to local subcontractors, partly out of a desire to prove that hatred of Israel is a universal passion. Even in the case of the assassination attempt against the Saudi ambassador with the help of Mexican drug cartels, Iran left clear traces of its involvement. Iran may have reasoned that even if it was caught and exposed, this would ultimately boost its deterrent power and prove its ability to act in every arena – not only in America’s backyard in Latin America but in the U.S. itself. Is Hamas Leaving the “Resistance Camp”? Meanwhile, Palestinian Islamic Jihad (PIJ) remains the organization most loyal to Iran. It waged the latest round of hostilities with Israel and fired most of the Grad rockets, which originate in Iran, and apparently also has long-range, made-in-Iran Fajr rockets it has not yet used. The weakening of Egyptian control over Sinai and the fall of Gaddafi’s regime have enabled the funneling of abundant and varied weaponry to Gaza, some of which – such as antiaircraft missiles – has yet to be used. During Haniyeh’s meeting with Khamenei, the latter said he had no doubt about Haniyeh and his comrades’ commitment to the struggle. Regarding the reconciliation talks with Abbas and Fatah, however, he warned them not to take the path of Arafat, who was once a popular and admired leader but lost his standing among the peoples of the region when he forsook the cause of resistance.28 This admonition prompted harsh criticism from Fatah members. In sum, it appears that Iran is trying to redefine the rules of the game and put considerable bite in its audacious words. 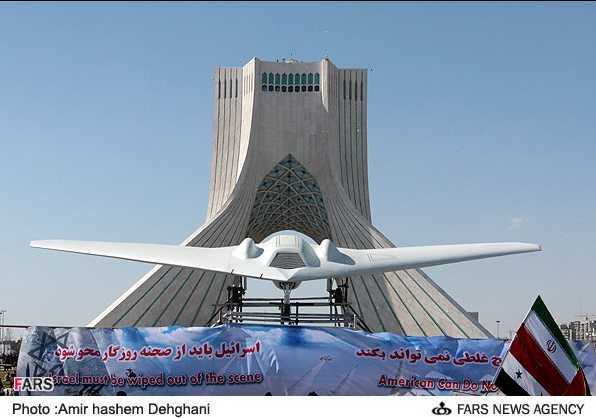 The recent attacks on Israeli targets and interests in the world, most of which were foiled, manifest the change in the Iranian response strategy. These acts stem from Iran’s revised view of the situation, which has ultimately led to a response strategy that was broached by the Supreme Leader and is being implemented by the intelligence and security agencies, primarily the Qods Force. The operational weakness may stem from the short time-frame the executers had to work with, and the desire to present achievements around the time of Revolution Day and the anniversary of Mughniyeh’s death. The intensified security measures for Israeli diplomatic personnel abroad, and the lessons drawn from similar events in the past, may have helped minimize the damage. Iran is also signaling that, in light of the quickly changing rules of the game in the international arena – epitomized so far by the sanctions on Iran’s oil industry and its severance from the world banking system – Iran is also changing the rules of the game and upgrading the “offensive” component, not only regarding terror attacks but also in the economic arena (banning oil sales to certain EU countries). Indeed, changes occurring in the region require Iran to reexamine the strategy of using terror. Hamas, regarded as one of Iran’s main response tools, is in the thick of an internal controversy about reconciling with Fatah, and Iran sees its ability to influence a part of Hamas – its external leadership, which is gradually moving toward Turkey – slipping out of its hands. The departure of Hamas headquarters from Syria, an arena where Iran and Hamas conducted contacts and training, makes it hard for Iran to coordinate activity with Hamas. The strengthening of the Muslim Brotherhood, Hamas’ parent movement, poses another substantial challenge to Iran. Indeed, in the past Hamas had demonstrated independence, and it was only in recent years, with Hamas isolated after its takeover of Gaza, that Iran was able to boost its influence over the organization. Now, again, that influence has receded. At present there is no change in Iran’s relations with Palestinian Islamic Jihad, which keeps faithfully representing Iran’s interests and firing rockets at Israel while challenging Hamas. Meanwhile Hizbullah, Iran’s main operational contractor for terror attacks abroad, continues to suffer both from the loss of Mughniyeh as a planner of spectacular international terror attacks and from the effects of the turmoil in Syria. Hizbullah prefers, perhaps at Iran’s urging, to keep a low profile, possibly because – after the recent failures – Iran wants to use Hizbullah’s overseas-attack capabilities to try and carry out a “suitable” attack. In any case, the bottom line is that the cardinal change – which also is a consequence of the changing regional circumstances – is Iran’s movement as a state to the vanguard of carrying out terror attacks and confronting the West, no longer hiding behind the organizations it sponsors. Iran has proclaimed in the past that it is prepared for war (including economic war) and struggle. Its measures on the ground indicate that a change has indeed occurred in its behavior. From its standpoint – all the more so after the oil and SWIFT sanctions – it is already at war.